Looking for a new challenge? Take part in an organised event, like the Bath Half Marathon, and set yourself the goal of raising funds for a charity that truly makes an impact. As a valued part of our team, we’ll be there to support your fundraising efforts. Our current events are listed below – alternatively let us know if you fancy putting on your own event! Whatever challenge you chose we’ll be right behind you all the way. Thank you for choosing Soundwell – all the support we receive, no matter how large or small, has an enormous impact on our clients. 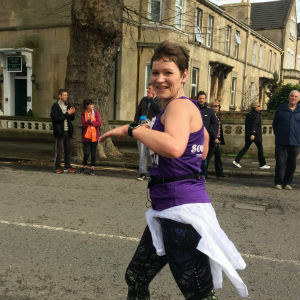 Take inspiration from the glorious Bath architecture and knowing that by running as part of Team Soundwell, you’re helping make a real difference to the lives of local people experiencing mental health issues. We currently have a number of Silver Charity race places for the popular Bath Half (which has a flatter course than you might think!). Places cost £30 per person (subsidised rate), with a suggested fundraising target of £175 each, and all runners receive a Soundwell running vest. Seasoned runners, newbies and everyone inbetween are welcome. Contact Emma Prout on 0300 365 3400 or emma.prout@soundwell.org.uk for more information and to register.